»» Download muCommander for free! »» Download Password Corral for free! »» Download Merge for free! Merge ::: a computer program that allows users to modify photos. Using Merge you can merge two photos or apply text on photos. »» Download CometBird for free! CometBird ::: a computer program that allows users to browse favorite websites. Using CometBird you can visit, select, save and organize your favorite web content. »» Download eLib for free! »» Download Free Photo Converter for free! Free Photo Converter ::: a computer program that allows users to convert photos. 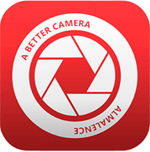 Using Free Photo Converter can turn your photos into different photo formats. »» Download PicaJet for free! PicaJet ::: a computer program that allows users to manage images. Using PicaJet you can manage, order and view digital photos. »» Download Image Eye for free! 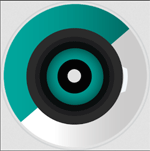 Image Eye ::: a computer program that allows users to view photos. Using Image Eye you can view all the photos on your computer. »» Download Commander for free! »» Download SuperCat for free!